If you’ve already made the switch from cumbersome comforters to duvets, you know how much better they are. But to get the complete duvet experience, you need a quality duvet cover. They will transform your sleep experience by adding a protective layer between you and your duvet, keeping you comfortable and snug all through the night. Plus, until beds start making themselves, duvet covers are the next easiest thing. Read on to get the complete guide to duvet covers and why you need one. When it comes to choosing your duvet cover, you might have to be realistic about how you’re going to clean it and how often. If the tag says “dry-clean only”, chances are you won’t be making the weekly trip to the dry cleaners to get your cover cleaned. Opt for a cover that’s machine-washable to make it easy to throw in with your sheets. Duvet covers are designed to sit snug on your duvet and provide a comfortable layer between you and your duvet. Down duvets often have feathers that poke through and scratch you, so duvet covers keep them out of sight and out of mind! If you use a duvet cover, you might not even need a top sheet. This is becoming more and more popular, because it prevents tangled sheets and overheating. 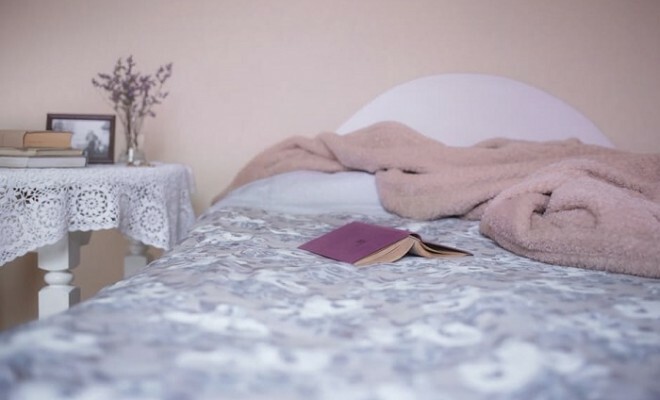 If you skip the top sheet, just be mindful to wash your duvet cover more frequently because it will accumulate more dirt and icky body fluids. Choosing the fabric of your duvet cover is a great way to customize your bed to your exact preferences. You can choose a flannel cover to help you stay cozy and snug in the colder winter months, and a lighter cotton cover during summer to help wick away sweat and keep you comfortable. Your duvet cover, while keeping you cozy, also helps protect your duvet. A good duvet cover blocks body oils, dirt, and bacteria from seeping through to your duvet, helping it last longer. Duvets should only be cleaned once per year, so a duvet cover will help keep your duvet fresh and clean over the year. The finish of a duvet cover is often overlooked, but pretty important in terms of how your duvet feels. Sheets and duvet covers are “finished” in many different ways, but the most versatile is percale. It’ll last you through all four seasons, and creates a supple material that is easy to love. If you enjoy a cool and crisp feel to your bedding, choose a sateen duvet cover; you’ll get that hotel-like feel as you slide into bed. The best part of duvet covers is that they let you quickly and easily change the look of your bedroom. There are so many different patterns and colours to choose from that you’ll have trouble picking just one; luckily, they’re affordable enough to stock up on so that you can change the focal point of your room at the drop of a hat.